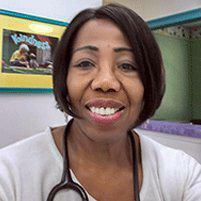 Dr. Noelle Ruddock-Solomon, M.D., FAAP, is a very skilled and compassionate pediatrician providing the best care for patients at C.A.R.E. 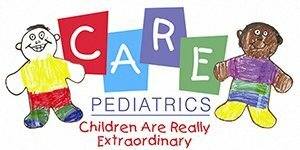 Pediatrics LLC, in Johns Creek and Duluth, GA. A fellow of the American Academy of Pediatrics, Dr. Ruddock-Solomon has extensive experience in treating a broad array of pediatric diseases and conditions. She is very knowledgeable in treating children throughout Gwinnett County for common conditions including Asthma, pediatric skin problems, and Well child checkups, as well as providing specialty pediatric care for gifted children. She also offers advanced services including Autism screening and management, Depression and nutritional counseling, and care for children who are overweight. Additionally, she provides Breastfeeding Consultations and on-going management for new and expectant mothers. Dr. Ruddock-Solomon received her medical degree from the University of the West Indies, Jamaica, followed by a residency in Pediatrics at University of Miami/Jackson Memorial Medical Center in Miami. Board-certified in Pediatrics, Dr. Ruddock-Solomon has also served as Clinical Attending Physician in Pediatrics at The Emory Clinic in Atlanta. She was also an Assistant Professor at the Emory University School of Medicine’s Department of Pediatrics. With extensive experience in Primary and Urgent Care Pediatrics, Dr. Ruddock-Solomon participates in continuing education activities to expand her knowledge and understanding of the novel and emerging treatments. She can also offer her patients the most advanced care for optimal health and wellness. At C.A.R.E. Pediatrics LLC, Dr. Ruddock-Solomon works closely with each child and their parents to ensure the highest quality of care is provided based on each child's medical needs. Dedicated to patient education, she is well regarded for her compassionate approach as well as her vast skill set in the diagnosis and management of Pediatric diseases. Dr. Ruddock-Solomon is passionate about children and their health and is devoted to providing the best possible treatment to each and every one of her patients. When not caring for her patients, she enjoys listening to jazz, being an active participant in her church, and spending time with family. Dr. Ruddock-Solomon and the entire staff of C.A.R.E. Pediatrics LLC welcomes all new patients, where most major forms of medical insurance are accepted. Fee-for-service and discounted options are also available. We accept same day visits and walk-ins! We accept most health insurance plans. Please check with your insurance plan to verify that we are a contracted provider. If we are a provider for your insurance plan, we can file the claim if you bring your plan’s membership card. Our Business Office will assist you with any necessary paperwork and other requirements relative to your insurance provider. Without the proper membership card, we will not be able to file your insurance. We are on panels of most health plans in this area. Please inquire with the Business Office for more information if you do not see your insurance plan listed below.